The site for Hallmarque was undergoing demolition works when Property Mash visited on 17/08/2016. 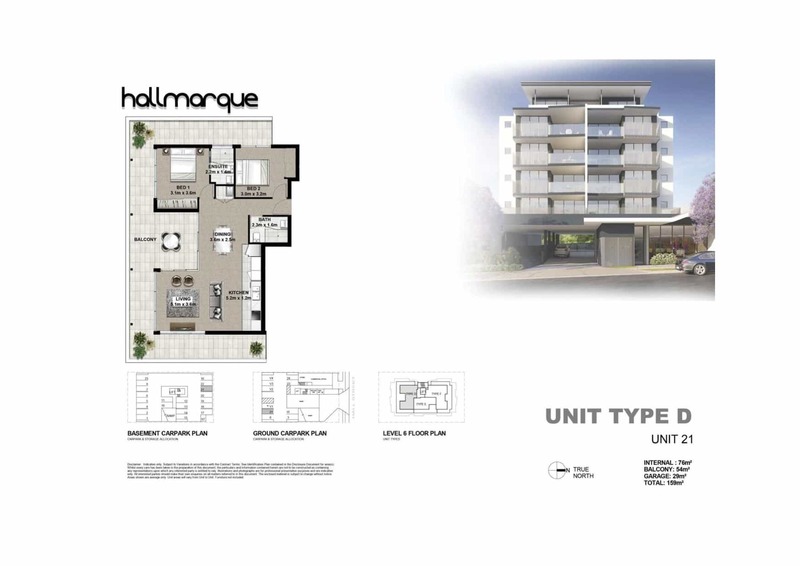 Hallmarque is a low-rise apartment project that is being built just 350m from Chermside Shopping Centre, which is the largest shopping centre in Queensland. 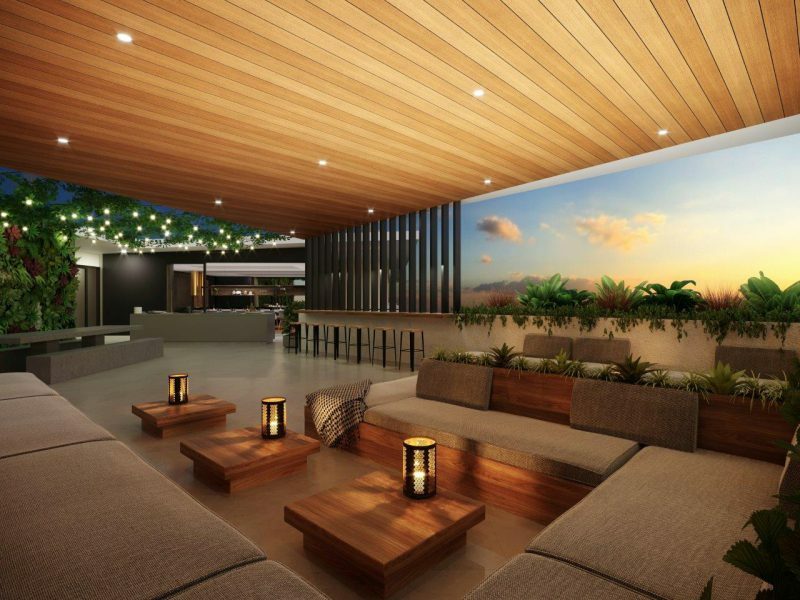 In recent years, Chermside has established itself as a mini-CBD in Brisbane’s north and it has become an increasingly popular place to live. The apartments on offer at Hallmarque are predominantly targeted at investors. The project offers affordable apartments that are close to transport, retail and employment. 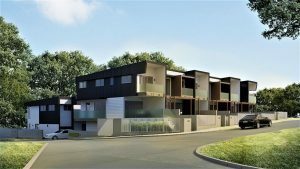 Given that there are a selection of two (2) bedroom, two (2) bathroom apartments for less than $450,000 and three (3) bedroom apartments in the $500,000 price range, it is likely that the project may attract first home buyers or young couples that are looking to live close to the centre of Chermside. 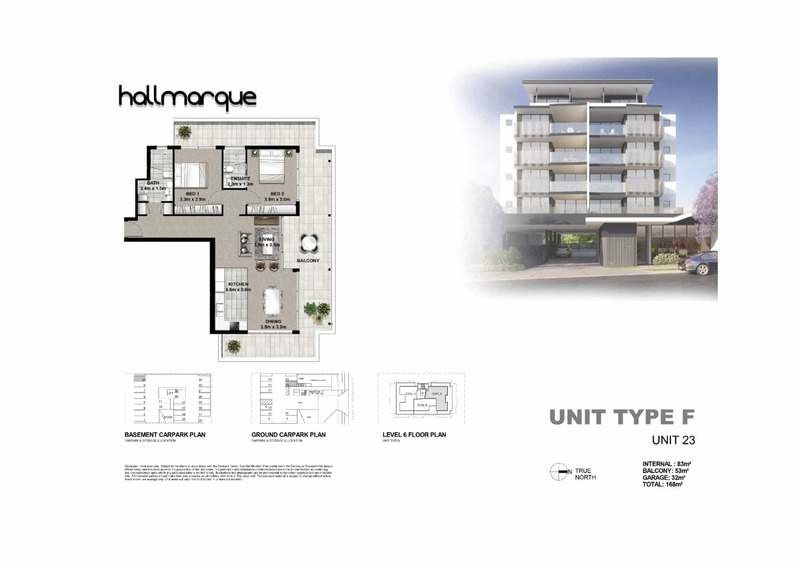 Hallmarque is a six storey apartment project with just 23 apartments. This is quite small when compared to the other apartment projects that are currently under construction in the surrounding streets. There are only two and three bedroom apartments remaining for sale at this project. 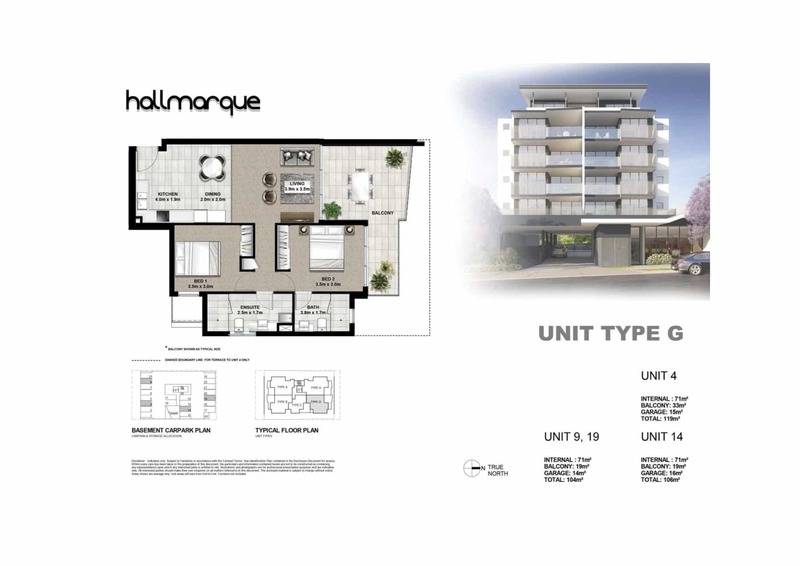 The 10 x two bedroom apartments at Hallmarque all have two bathrooms. They range from $447,500 to $449,000 in price. Internally, they are 71m² with balconies that range from 17m² to 19m². These are considered to be on the smaller size for two (2) bedroom apartments, however considering the price point this is to be expected. The balconies are slightly larger than at some other comparable projects that have small balconies of around 10m² to 12m². Comparatively, the balconies at Hallmarque are a good size. 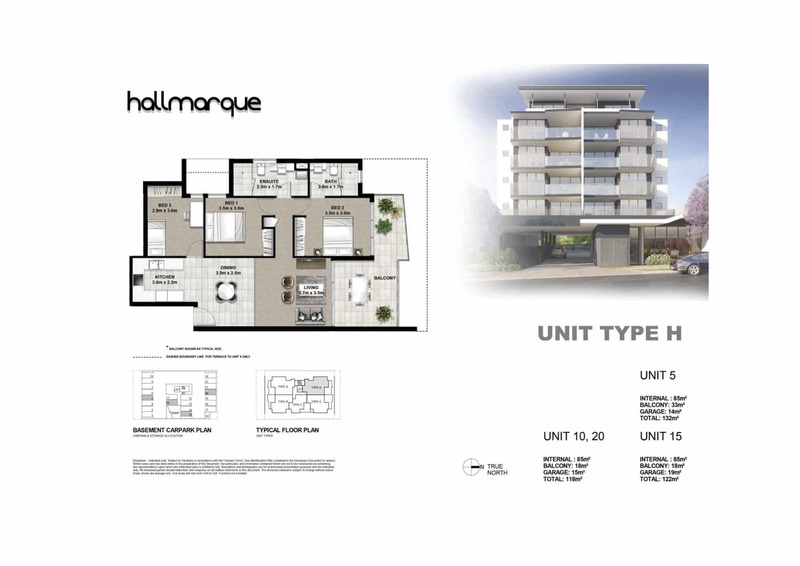 There are 8 x three bedroom, two bathroom apartments at Hallmarque. These are priced between $510,000 to $562,000. The internal area of these apartments ranges from 81m² to 85m² and their outdoor areas range from 16m² to 53m². The layout of the two bedroom apartments is pretty solid considering their size. The designers have generally made an effort to separate the bedrooms in order to make shared living easy. There a few shared walls which is good for privacy in your bedroom however many of the bedrooms do open into each other (eg doorways directly across from each other in a hallway) which is not ideal. Some kitchen designs have a ‘U’ shaped kitchen, but there are no kitchen islands in any apartments at Hallmarque. Some of the apartments on the higher levels with large balconies would be fantastic to live in and would get good views over the city. 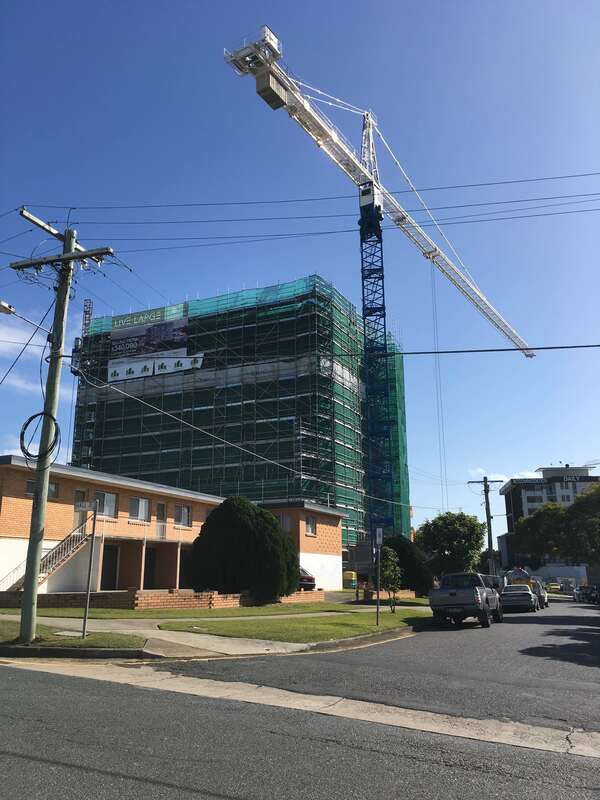 On the lower levels, if you are located on the Hall Street side of the building, you are generally looking towards Chermside Shopping Centre and at the many large new apartment projects that are currently being built. These apartments have power points on the balconies but no gas access. The majority of apartments at this project come with a single car park, however some of the more expensive apartments have two car parks. The fact that not every three bedroom apartment comes with a car park is potentially a problem. 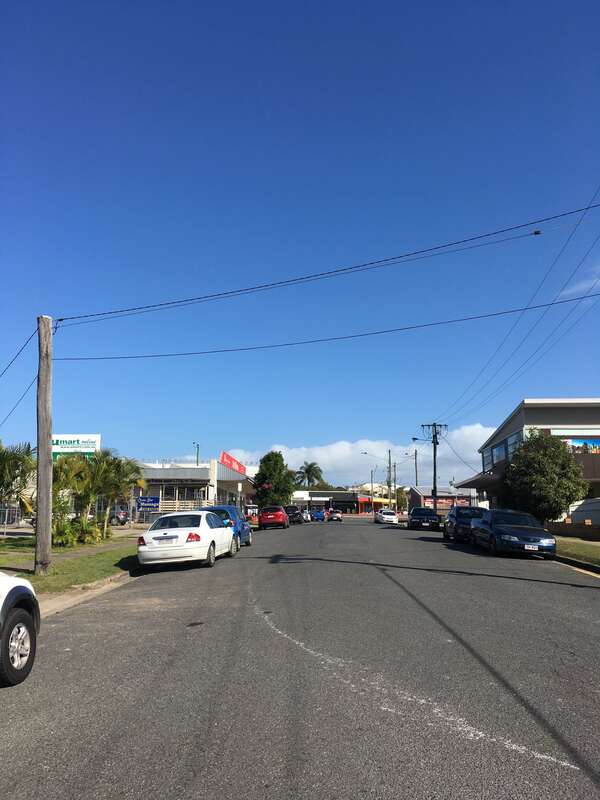 Street parking in the local area is not easy because Hallmarque is located in a very busy part of Chermside. There are just four visitor spaces available on site. On the ground floor of Hallmarque, there is a retail and office tenancy. These spaces have not been leased at this stage. 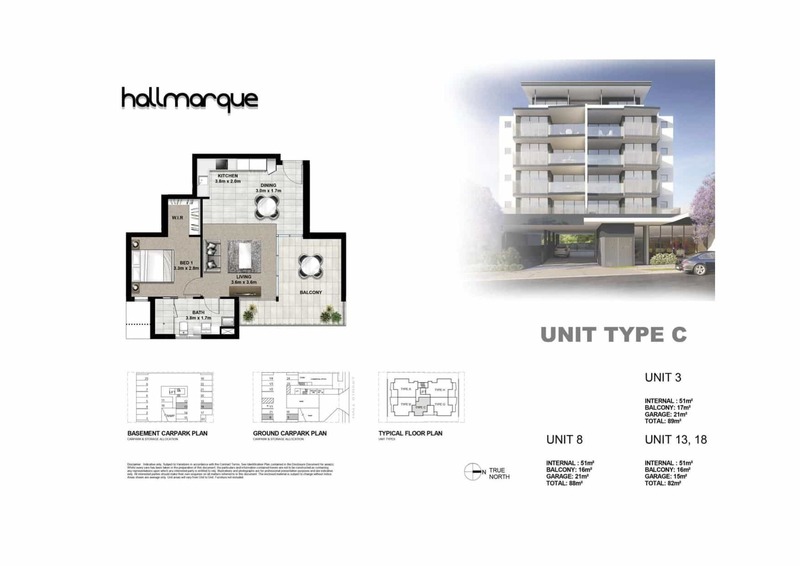 Hallmarque is located at 17 Hall Street, Chermside. Chermside is a suburb in Brisbane’s north, 10kms away from the CBD. 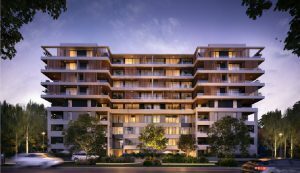 It’s neighbouring suburbs include Aspley, Chermside West, Stafford Heights, Northgate, Wavell Heights and Kedron. Hall Street is just off Gympie Road which is the major arterial connecting Chermside to Brisbane’s CBD. Driving into the city takes around 20 minutes via the Airport Link Tunnel. It is a busy street with new apartment projects and commercial buildings, so keep this in mind. Hallmarque itself is bordered on all sides by houses and is about 50m from the Gympie Road intersection. This is a busy area and naturally there will be an element of road noise living so close to main roads and shopping centres. On top of this, there will be continual construction noise for a few years to come. Looking towards the Gympie Road intersection from Hallmarque. Photo taken onsite 17/08/2016. Hallmarque is 350m from Chermside Shopping Centre, meaning that residents can walk there in about five minutes. Chermside Shopping Centre is the largest shopping centre in Queensland and home to David Jones, Myer, Kmart, Target, Big W and over 400 other stores. The centre also has cinemas, a bowling alley and a major bus interchange. There are plans to expand this centre significantly over the next five years as well. View towards Chermside from Hallmarque. Supplied by developer. There is also a major bus interchange at Chermside Shopping Centre. This has seven different bus stations and people can catch services to many different parts of Brisbane from this location. The closest bus stop to Hallmarque is 200m down Hall Street at Burnie Brae Park. This station has services running to the city about every 10 minutes. A bus ride to Ann Street in the city takes about 40 minutes from this stop. 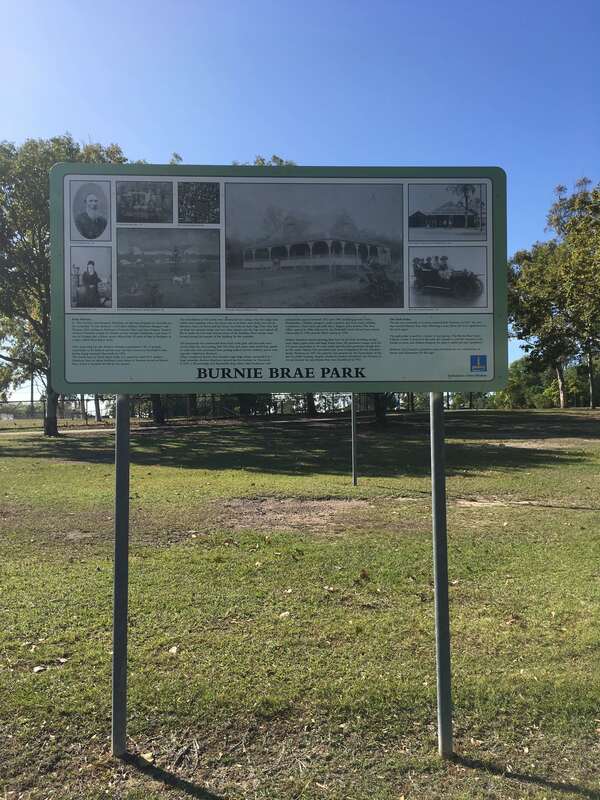 Burnie Brae Park. Photo taken 17/08/2016. Burnie Brae Park is a great community park just three minutes walk from Hallmarque. It has two playgrounds for kids and an off-leash area for dogs. There are also two huge parks on the other side of Chermside Shopping Centre that are great for families, sport or just hanging out. These are Marchant Park and 7th Brigade Park. There are bikeways, open space, sporting grounds, handball courts, basketball courts and one of Brisbane’s largest fort-like playgrounds called Kidspace. There really aren’t any schools in Chermside. Some schools that are close to Hallmarque include include Craigslea State Primary School, Craigslea State High School, Clayfield College and Kedron State High School. Chermside has a population of 8,178 people. 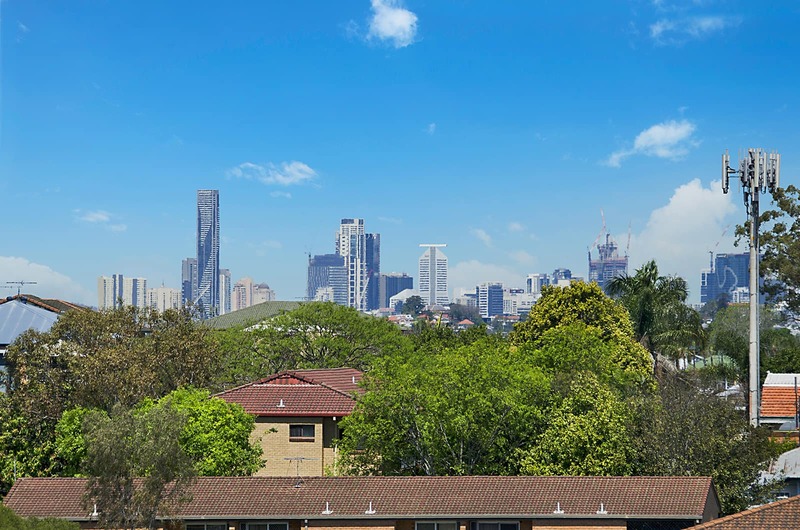 It is one of the fastest growing suburbs in Brisbane in terms of population, increasing by 14% over the five years between the past two Census dates. The predominant age group in Chermside is 25-34 years and childless couples make up the lion’s share of households. The median sale price for apartments in Chermside is $450,000, a figure which has increased by 9.8% over the past 12 months. The median rent is $395 per week in Chermside. Despite the low price point of these apartments, they have some good quality internal features. One of these is fully ducted air conditioning which is rare to see in a new project like this, which would usually have split-system. 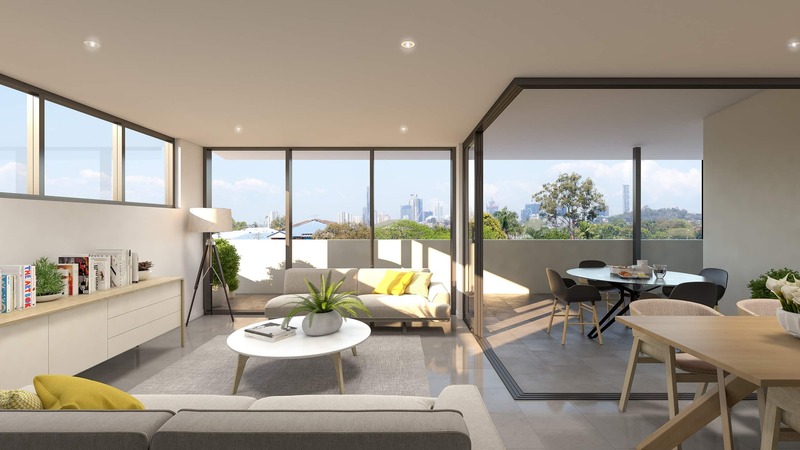 Render of living area and balcony with outlook towards the CBD. Supplied by developer. 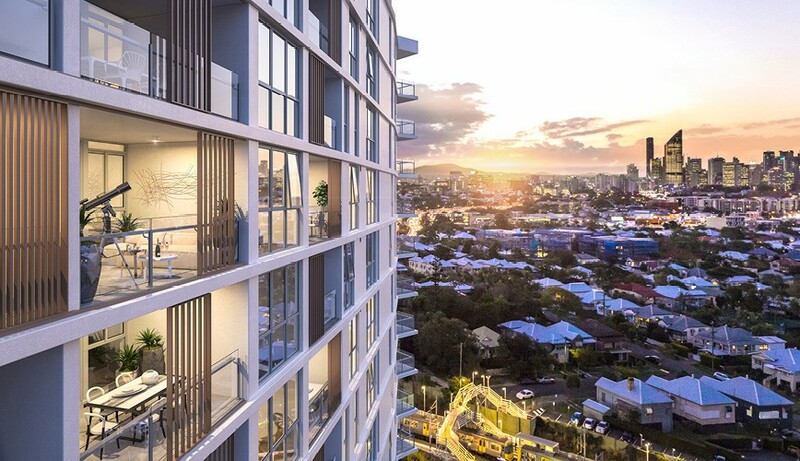 The kitchen is a relatively standard design for new apartments in Brisbane, with stainless steel appliances, 20mm stone bench top and a glass splashback. We like the addition of a glass splash back because it looks much nicer than some cheaper options. These apartments have gas cooktops which will be appreciated by those who cook at home. The living areas and outdoor areas are tiled, whilst the bedrooms are carpeted with a wool blend. Another nice feature is the double opening sliding doors to the balcony which should make a nice indoor / outdoor integration as can be seen in the artist impression above. This form of design is important for smaller apartments so that the balcony becomes a true part of your liveable space. A full and detailed investment report for these apartments is available for these apartment from the agents. We recommend looking into this if you are an investor because they are full of great information. 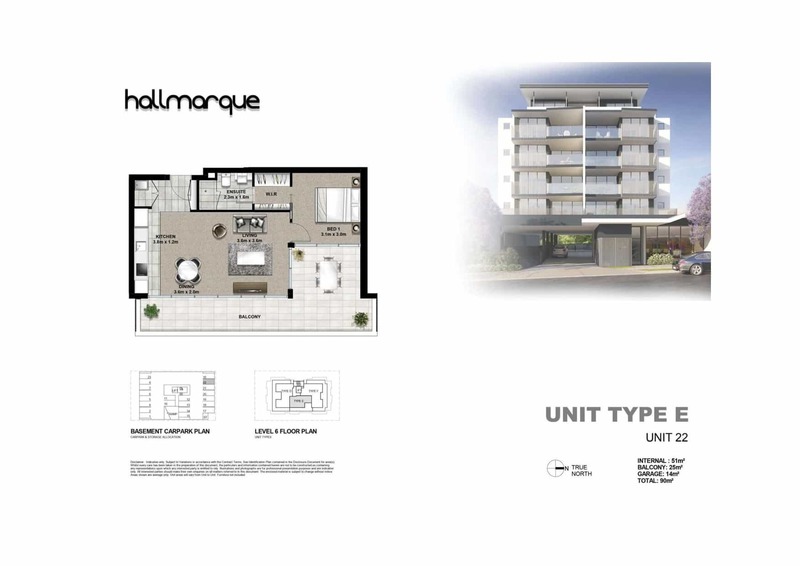 In terms of body corporate rates, owners can expect to pay around $2,500 each year at Hallmarque. This is quite a good body corporate rate considering it includes a BBQ area for residents on the roof. The low body corporate rate is likely due to the small number of apartments in the building as well as the absence of more intensive amenities like a pool. 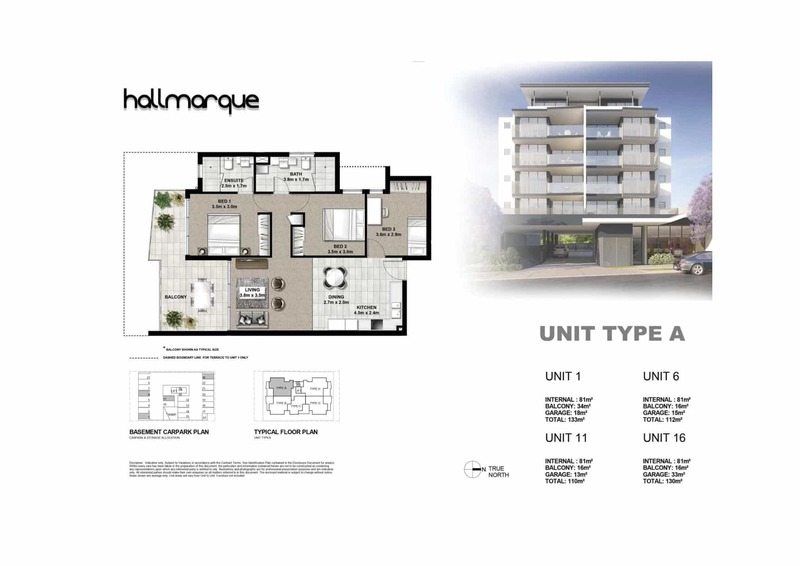 Expected rents at Hallmarque range from $395 per week to $625 per week depending on the apartment type and whether or not the apartment is furnished. 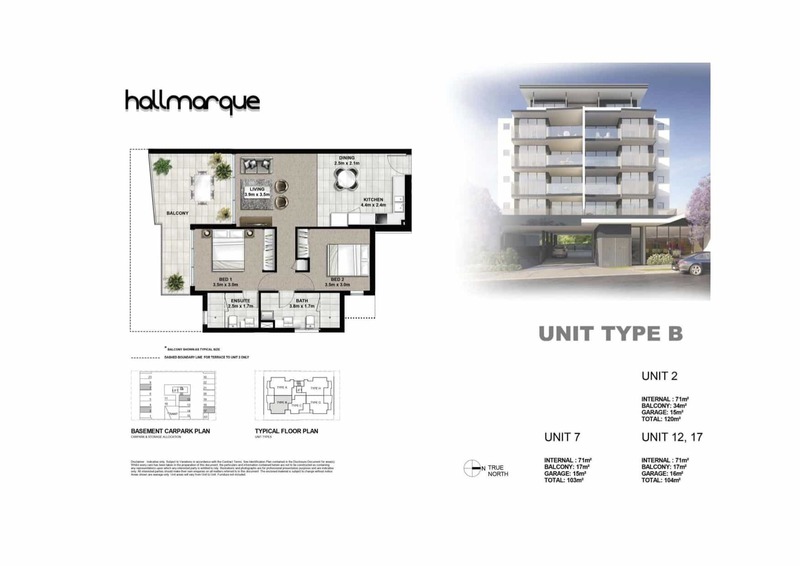 It is worth mentioning that there is currently an incentive for investors to purchase at Hallmarque. This is a two year rental guarantee at 5.5% and a free furniture package. If you are an investor, this is worth checking out. However, Property Mash recommends doing your research on new projects and not being sucked in by developer deals. If you do think that Hallmarque is the right investment fit for you, this deal may be of interest. The furniture pack will likely increase the rental return of your apartment by around $100 each week and the 2 year rental guarantee will serve to mitigate risk in those first two years after the building settles. Keep in mind that the 5.5% figure is a net value, so council rates and body corporate fees will come out of that. As will management fees if you choose to let your apartment with an agency. 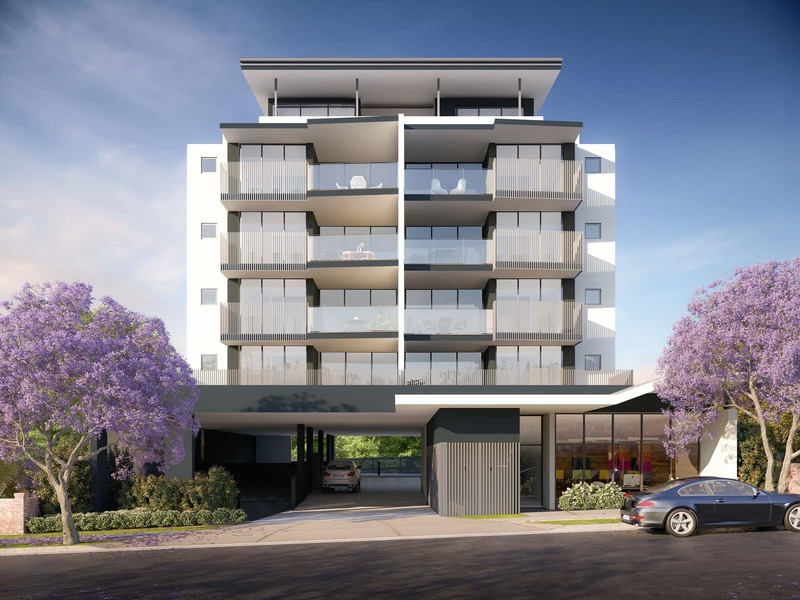 There are a number of new apartment projects available in Chermside at the moment. 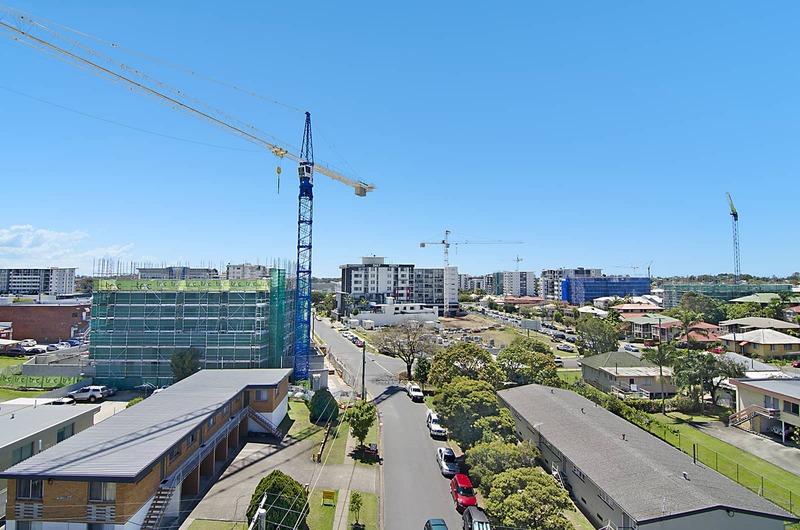 The majority of these are closer to Chermside shopping centre and much larger buildings in terms of number of apartments and height than when compared to Hallmarque. These include Hemmingway, Evolve, The Woodstore, Hilltop Apartments and Savile Row. Evolve is a new project that is under construction just near Hallmarque. Photo taken standing outside Hallmarque site on 17/08/2016. 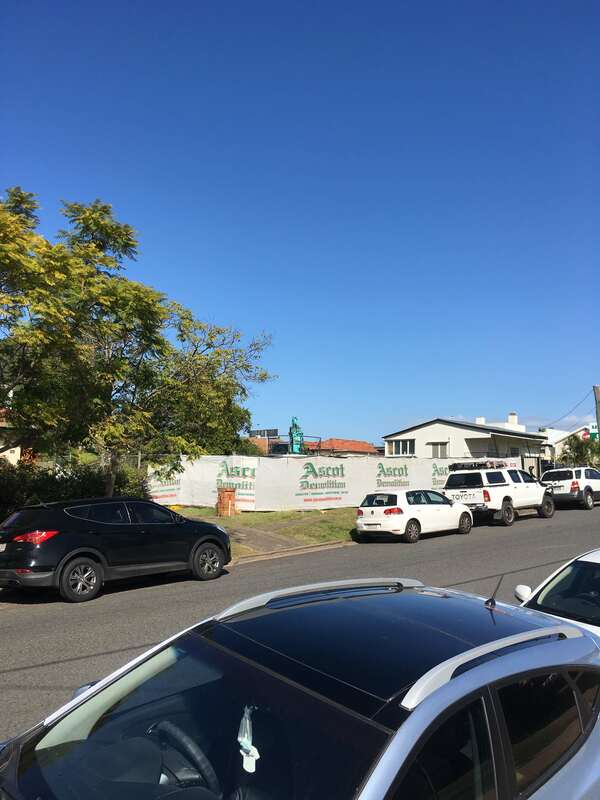 Vecchio Property Group have a long, successful history in Brisbane. The Group has developed and diversified over the years to be a full development and construction company. Vecchio Property Group remains a privately owned and operated family business. 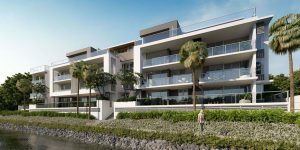 Their recent projects around Brisbane include River’s Edge in Hamilton, Breakfast Point Apartments and Rive Apartments. There is no sales display for these units.